If proof was needed that National League standards are on the up, Widnes Vikings provided it on Sunday. The Vikings, not even favourites for the League One title, underlined that improvement by dumping a strong Castleford Tigers side out of the Challenge Cup. 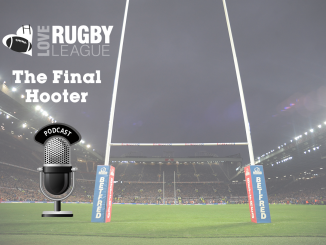 Widnes’ performance was exemplary – some might suggest Super League standard. They got off to a great start with a try and two goals inside four minutes and consolidated that lead with an immense defensive display, restricting the Tigers to just four points. When the Vikings crossed for their second try after the break there was no way back for Cas. It would have been easy for the Widnes club to moan about their relegation from the top flight – relegated despite avoiding bottom spot – but instead they chose to roll up their sleeves and get on with it. And now that attitude looks as though it may be bearing fruit as Widnes find themselves the first National league side to defeat Super League opposition in the cup since Hunslet beat Huddersfield in 2003. However, it’s not just Widnes who showed their ability in the weekend’s cup fixtures. 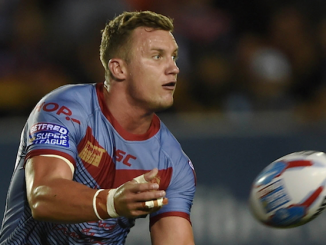 Leigh Centurions did themselves a great deal of credit in their narrow 36-12 defeat to Leeds Rhinos. The Rhinos hammered Leigh 74-0 last season, when the Centurions were a Super League side, so the improvement is there for all to see. 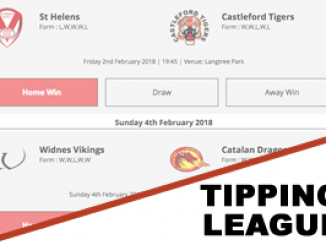 Hull Kingston Rovers and Whitehaven are still in the cup, while Doncaster Lakers’ 56-6 loss away at St Helens could hardly be considered an embarrassment – better teams will leave Knowsley Road worse off this season. As for the Vikings, they have a chance to do it all again in round five when Halton stadium will host the team for which they made way at the end of last season – Les Catalans Dragons. Widnes’ win over Castleford was impressive, but as upsets go it pales in comparison to the jaw-dropping 40-8 win that Barrow Raiders mustered against Oldham. The Raiders were relegated from National League One last year, and so far have won only two games in their Northern Rail Cup campaign. 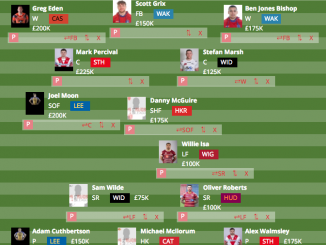 The squad was down to their last seventeen fit players when Oldham arrived at Craven Park, so just how Barrow won, and won so comprehensively, against the League One side is anyone’s guess. It could be that the raiders responded well when the chips were down, and Oldham were the unlucky recipients. National League Two is another competition which is too close to call. Barrow have signalled their intent, but the likes of Featherstone Rovers, Swinton Lions, Dewsbury Rams, Sheffield Eagles and Celtic Crusaders might have something to say about that. Barrow’s reward for their cup heroics is a trip to face Harlequins. And if the Raiders are in the same vein of form when they arrive at Twickenham Stoop, the Quins had better watch out. 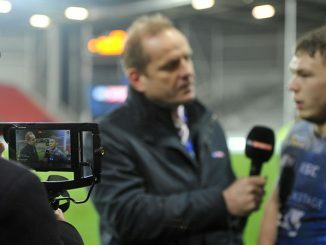 It’s good to see that stadium problems which have been an issue for rugby league so far this year have been resolved. Fans were getting restless about not knowing where the Powergen Challenge Cup final and the Gillette Tri-Nations were to be held, and understandably so. The Challenge Cup dilemma has been solved, although admittedly not to everyone’s tastes. The original venue of Wembley was always under threat when the stadium’s completion was going at a snail’s pace, and the FA Cup final had already been switched. Many were unhappy at the switch to Twickenham, but in my view it was the best option for the RFL to take. Over thirty thousand fans had already bought tickets to Wembley, so for them a venue in London was clearly a necessity. It would hardly have been fair to ask them to change their plans and go to Edinburgh. The Tri-Nations venues have also been finalised and they took their time doing it. Great Britain will be playing in Brisbane and Sydney in Australia, and Christchurch and Wellington in New Zealand. This allows fans to plan their trips in advance.